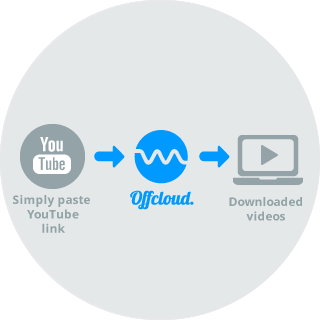 Offcloud enables you to download your favorite YouTube videos in a breeze. Have you ever tried to download video clips from streaming websites like YouTube? You either have to install a separate software on your PC or make use of different online tools. Now, you no longer have to do any of that, because Offcloud's native support for streaming websites like YouTube enables you to easily download video clips. You can either have the content sent to your cloud storage service, like Google Drive or Dropbox, or you can download it directly to your computer. You also have the option to store YouTube video clips in your Offcloud account. This service is particularly useful if you want to save the clips in case you go offline or the streaming service removes the video later on. To download a YouTube video clip with Offcloud (or any video or audio clip from a similar streaming service for that matter), you just need to paste the clip’s URL into Offcloud and click Fetch. In addition to that, you can also use the Offcloud integrated video player to watch YouTube videos directly on our server, without downloading them first. You can use Offcloud to download content from YouTube for FREE. With a free account, you can submit up to 3 links. Then, you can enjoy the service without any restrictions for just $9.99 per month.